You read it right. You can invest In the Philippine stock market like Bo Sanchez' helpers are doing now. Bo Sanchez is teaching that everyone ought to be rich-not only spiritually, but also in financial wealth. 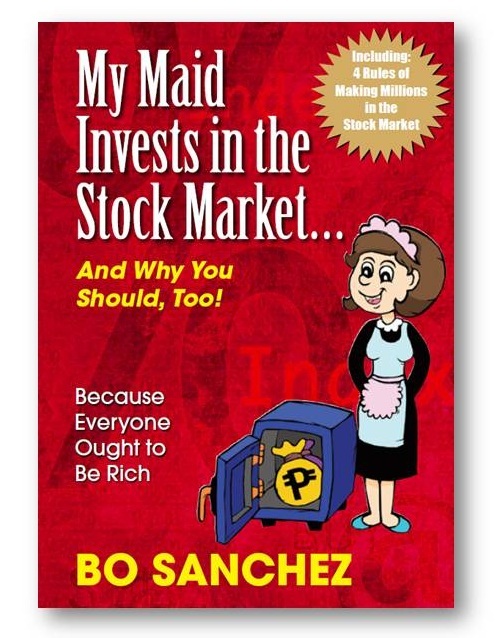 Do you want to learn how Bo Sanchez' maids are doing. 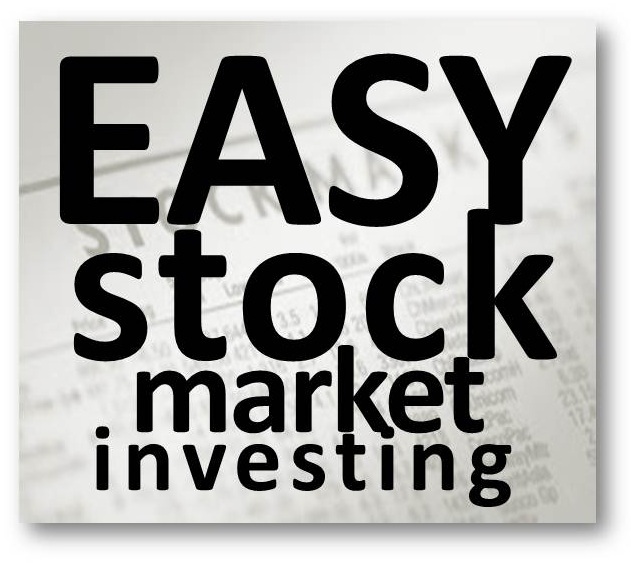 Here are four rules of making millions in stock market. 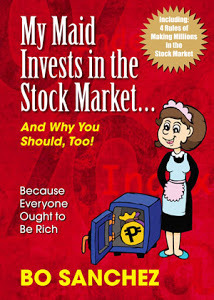 Invest small amounts (P1,000 and up) at regular times (say, weekly , monthly, or quarterly) without fail for 20 years or more. Invest even when there is a crisis. More details about these four rules are also written on Bro Bo Sanchez' book "My Maid Invests in the Stock Market.. and Why you should too!" You can have this book for free once you get inside the Truly Rich Club. This book is also available in all National Bookstore nationwide. You can also order copy from Shepherd's Voice publication. Ops, just a reminder, once you join the club you will not get a physical copy of the book, you will get an eBook version instead. You can read it through your Cell phone.